It’s about 7 degree today. Rainy day. That’s from my favorite weathers most of times. 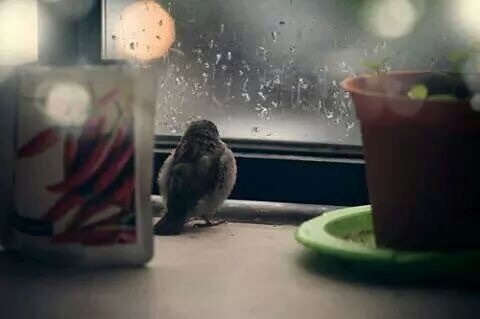 I feel happy on those days but for the first time I feel rains as if it’s washing me from bad feelings. I felt suddenly that all the smiles that were on my face for past days were fake or not that true as always. Today I felt so weird. So cold.. I ended the day with a sad look, convening all that I am physically sick but I sick from inside, it’s my soul. I realized that however we say we need no one, no friends or family and we will manage the situation, is a fake feeling. It’s always a fake one, but we don’t notice. We really need someone to care for us, love us. We may not find this person till long. It’s love sometimes, but for me love was and is always a losing game. Friendship maybe?? Even this I don’t think so. Feeling most of times I am a second wheel. All have his own friends, I am always the one what people care for when the original friend isn’t here. I always handled it, till somedays ago. I am always trying to be funny and happy to keep my mind away. Somehow I started to say if I can’t find who care for me, I can care for myself. As its a BIG LIE . But have no choice. I started working hard for being successful at my school, on Internet, and so on. I thought that people can be second choice after my own life. After who I am. They used to be number #1 but now #1 is my future, my success. That’s better !